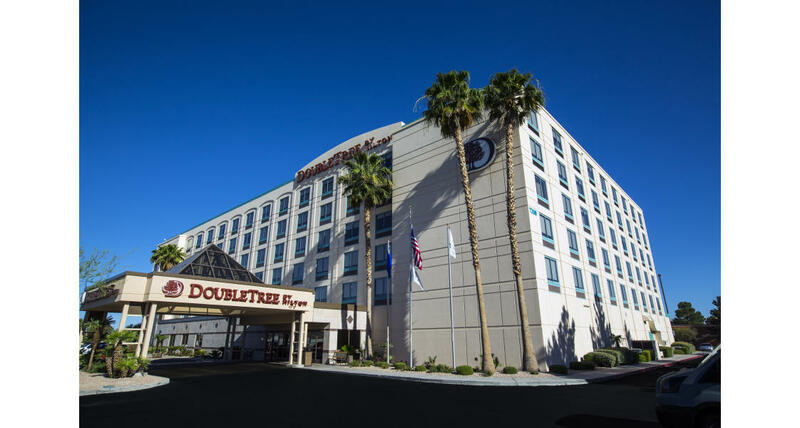 The DoubleTree by Hilton Las Vegas Airport is located two miles south of McCarran International Airport, two miles east of I-15 at I-215 (Airport Connector) and Warm Springs Road, just a few minutes southeast of the Las Vegas Strip. 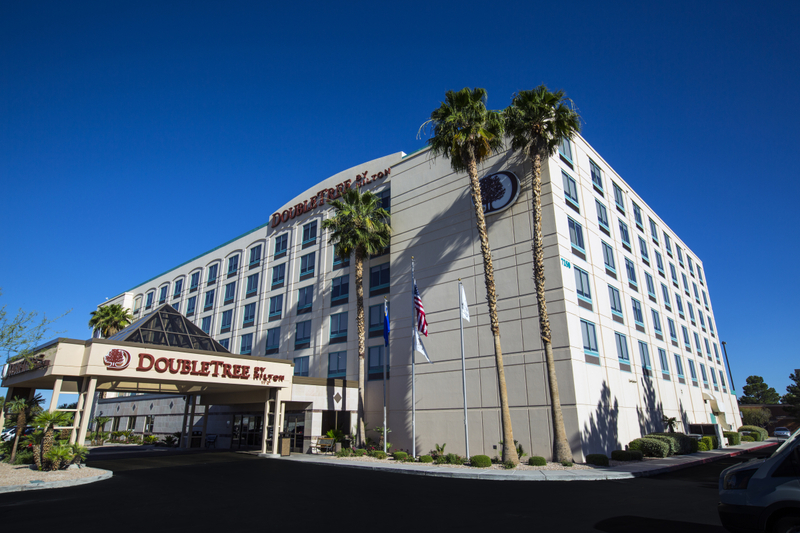 This non-gaming hotel, with its casual, friendly atmosphere, offers a complimentary McCarran Airport shuttle; complimentary scheduled shuttle to and from the Tropicana Las Vegas; complimentary wireless high-speed internet access; no access fees on local, calling card and toll-free phone calls under 60 minutes; heated outdoor pool and complimentary 24-Hour Doubletree Fitness room. We have also earned the EPA's ENERGY STAR in recognition of our energy efficiency efforts. All 190 spacious guestrooms feature one incredibly comfortable king or two full-size beds; 42 Flat Panel HDTV with 40 channels; complimentary standard laptop size in-room safe; in-room climate control; two dual-line speakerphones with voice mail; work desk with desk top power outlet and executive desk chair; clock radio; in-room gourmet coffee service; hair dryer, iron and ironing board; and in-room dining. The Club Room features a bakery café, lounge, ATM, 24-Hour self-serve business center with remote guestroom printing, complimentary mini meeting room and comfortable conversation areas.